Jason Argent, vice president of marking for 2K Sports, said at this time, all non-U.S. locations would get the Jordan cover. (CNN) -- If one legendary basketball superstar on the cover of your video game is great, what about three? 2K Sports announced Thursday that the cover art of their upcoming NBA simulation game, "NBA 2K12," will feature not just the return of Michael Jordan but also covers featuring 1980s greats Larry Bird and Magic Johnson. Each athlete will be shown separately on three distinct covers of the video game packaging. The artwork of each athlete was created for 2K Sports by artist Adam Larson. Larson's sports work has been highlighted in a cover of ESPN Magazine, featured in art galleries and won numerous awards. Jason Argent, vice president of marketing for 2K Sports, said after the huge success of Jordan on the cover for "NBA 2K11," the company signed His Airness to a multiyear partnership. But he said the company wanted to give fans more than just a repeat. 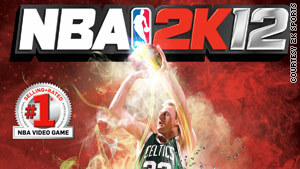 Larry Bird is featured on one of the covers for the upcoming game, "NBA 2K12." "We are constantly focused on breaking the mold, not falling into any sort of pattern," he said. "We wanted to make a big statement and a big departure and continue to evolve and grow this franchise, which has been such a great level of success for us." Argent said the three covers for the Xbox 360 and PlayStation 3 versions will be shipped in equal numbers to each retail location in the U.S. He said all other platform versions and non-U.S. locations will only get the Jordan cover. "The idea was to keep doing things bigger and better and continue to shake things up." 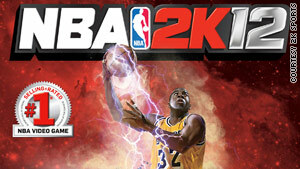 The third cover for "NBA 2K12" puts the spotlight on Magic Johnson. Argent said he thought the multicover approach was a first in the sports video game genre and extends the strong legacy established by "NBA 2K11." Last year's game sold more than 5 million units worldwide and won 14 Sports Game of the Year honors. He said they weren't ready to release gameplay details at this time, but the philosophy and success of the Jordan Challenge in "NBA 2K11" would be continued and expanded in the new version. 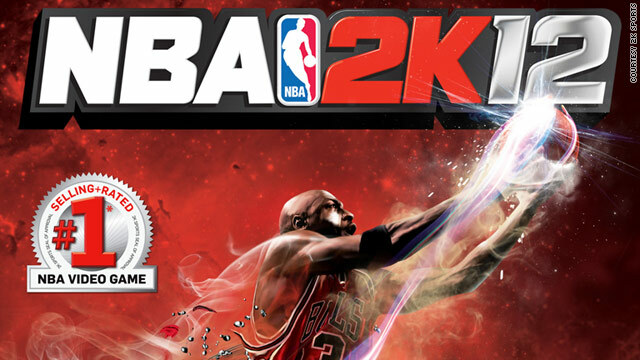 "NBA 2K12" will be available on October 4, 2011, for the PlayStation 3, PlayStation2, Xbox 360, Wii, PSP and Windows PC.